The Task Force shares its experiences and showcases its work at events across the country. In 2017/18 it ran a series of expos across the UK. These offered a unique opportunity for local authorities, architects, financiers, developers, landowners and more to gain an in-depth insight into the local picture of the Right To Build legislation and registers, as well as custom and self-build sites that are happening across the county. The Right To Build Expos: Unlocking the Potential of Custom and Self-build were produced by NaCSBA Right To Build Taskforce, NaCSBA and Wood for Good, in partnership. These events are produced specifically for each UK region’s custom and self-build housing communities. The Expos match up custom and self-build ambitions with services, support and experience, and explore how custom and self-build housing can be delivered effectively for each region. Focused one-day programmes of expert talks, practical case-studies and interviews, plus information, advice and support for those wanting to start or progress custom and self-build housing projects around the UK. Presented by the National Custom & Self-Build Assocation (NaCSBA), the Right-to-Build Taskforce and Wood for Good, in partnership. The first custom and self-build event in Scotland presented by the National Custom & Self-Build Assocation (NaCSBA), the Right-to-Build Taskforce and Wood for Good, in partnership. A focused one-day programme of expert talks, practical case-studies, interviews, information, advice and support for those wanting to start or progress custom and self-build projects around Scotland. Right to Build Expo comes to the South East of England on 8 March 2018. On Nov 7th 2017 Castle Theatre, North Northants hosted the second regional Right to Build Expo. 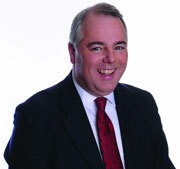 Audience members heard Richard Bacon MP speak about Self-Build, Custom and Community Housebuilding and place-making.